Meet with one of Eden’s men’s skin care experts for a complimentary 15-minute skin evaluation and assessment. 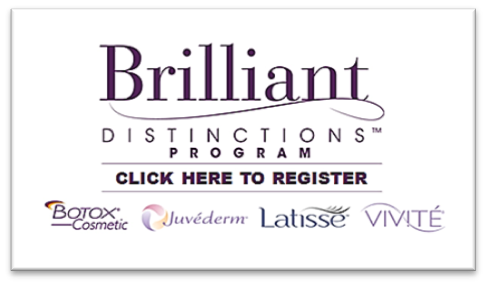 Receive tips for improving the overall condition of skin based on your skin type and concern. Enjoy deep cleansing and exfoliation to soothe and invigorate your skin. Helpful in reducing shaving bumps and other skin irritations as well as creating an overall smoother shave. Towel wraps and pore cleansing are common. Tiny crystals are used to exfoliate the skin to remove fine lines and acne scars. Repeated treatments encourage collagen and elastin growth, further improving skin appearance. This deluxe massage treatment is designed to deliver ultimate relaxation to the working man. Incorporating a massage style of your choice, reflexology for the feet, and an intense hydrating hair/scalp treatment, this massage reduces tension in the muscles and eliminates stress from head-to-toe. During the massage, relaxation is heightened with a blend of essential oils designed to fight fatigue and calm nerves. Relax and soothe muscles that have taken a pounding from sports and exercise. This deep massage will help injuries heal as well as prevent additional ones. Proper care is necessary to maintain a healthy scalp and head of hair. Treatments are available for hair loss, dandruff prevention, or an excessively oily scalp or head of hair. A dermaplaning treatment complimented by after-shave care, steamed towels, a hot lather, and moisturizer. Waxing beats shaving with longer lasting results. Eden uses premium waxes to deliver the best results and the experience in waxing men to better ensure your comfort. Includes post-wax treatment with healing solution to reduce the appearance of redness and ingrown hair formation. Stay well groomed. We can help keep your body hair in control on your chest, back, and arms with our hair trimming services. We customize! Call us for a custom quote. Hand ‘em over. Get your nails trimmed, detailed and massaged for that well-groomed and professional look of a working man. When your feet need some extra attention. A complete Eden Foot Detail with the added benefit of powerful exfoliation and aromatherapy to soften and hydrate your feet. Topped off with a full, rejuvenating and relaxing foot massage. Enhance your gym workout results. Created specifically for men, this effective thermal toning treatment uses a specialty concentrate to unblock the localized accumulation of lipids and toxins around the abdomen. An ab-defining treatment that will firm and tighten your mid section, and eliminate excess fluids and impurities. Think of it as a facial for your back. This clarifying treatment cleanses, exfoliates, moisturizes and clears your skin. High frequency and microderm helps heal blemishes and kills bacteria. Used for hundreds of years by many cultures in the treatment of arthritis, rheumatism, joint stiffness and muscle spasms.The deep heat of the Steamy Wonder™ helps to relieve pain by causing the blood vessels to dilate. This causes increased blood circulation and allows more oxygen to get to soft tissue injuries and sore muscles. This helps to reduce pain and speeds up the healing process. Increased blood circulation carries metabolic waste products and delivers oxygen rich blood to oxygen-depleted muscles so they recover faster. Muscles relax most readily when tissues are warm. Perfect for the athlete or the man that wants to keep himself fit and rejuvenated. This treatment uses fine sugar beads to gently yet thoroughly exfoliate the skin. The product is applied to the entire body and massaged into the skin, gently removing dry, dead skin, and leaving a clean, healthy, glowing complexion for the working but conscientious man. Not sure what to get your favorite guy? Get him a gift certificate for one of our spa packages!